From Brackenridge Park Golf Course to The Quarry Golf Course to Hill Country Golf Club, San Antonio has plenty to offer the golfer to go. The 10th at Brackenridge Park Golf Course was reportedly one of Ben Crenshaw's favorites when he played junior golf. SAN ANTONIO -- With the addition of the new J.W. Marriott and two TPC San Antonio golf courses, the Alamo City is quickly becoming a premier golf destination. Newer golf courses and resorts, as well as a restoration of an old favorite, gives San Antonio a nice mix of traditional and modern courses. Plus, the weather is favorable, especially in the fall and the spring when temperatures are moderate. And in the winter, when it's not uncommon to have days in the 70s and even 80s, many courses in San Antonio overseed. "San Antonio has it all for golf, from the very best to the very affordable," said James E. Roschek, president and CEO of San Antonio's Municipal Golf Association. "And there is a lot more to do than just golf. 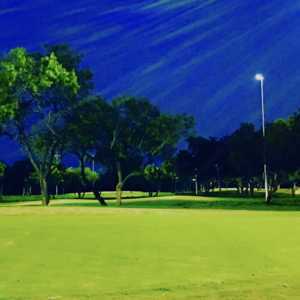 The Alamo City Golf Trail can fulfill every golfers need." Newly renovated to the tune of $7.5 million, this 1915 A.W. Tillinghast design has to be at the top of the list now for any golfer visiting the Alamo City. Nestled near downtown San Antonio and next to the San Antonio Riverwalk, Brackenridge Park Golf Course, which is the gem of the seven-member Alamo City Golf Trail, has a long history as the former home of the Texas Open. With its flat-bottom bunkers restored and new Mini-verde Bermuda greens, Brackenridge Park has never been in better shape. The renovation also included cleaning up the underbrush and trimming back hundreds of pecan and oak trees. One of the most unique courses you'll ever play, The Quarry Golf Course is a splendid Keith Foster design whose back nine is literally carved out of an old stone quarry. It gets pretty hot in the summertime, but as long as you stay hydrated, it's well worth it. The front nine is links-style with no trees and plenty of wetlands that come into play. Then it gets really interesting on the back nine of this 6,740-yard, par-72 layout, which is enclosed in abandoned rock quarry. 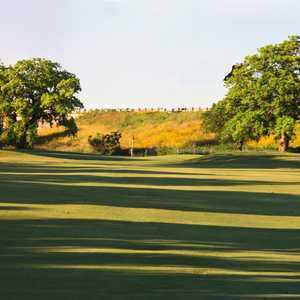 This former site of the PGA Tour's Valero Texas Open is an up-and-down, 7,000-yard thrill ride through the edges of the Texas Hill Country. Designed by Tom Weiskopf and Jay Morrish and built from an old limestone quarry, the Resort Course at Westin La Cantera has a great variety of holes, including the drivable, short, par-4 seventh, the "Rattler," which plays from a tee on a cliff and brings in panoramic views of the roller coasters at the Six Flags Fiesta Texas amusement park next door. Designed by Arthur Hills, this 27-hole resort course, located at the Hyatt Regency Hill Country Resort and Spa, rolls through meadows, hillsides, ravines and plenty of trees, lakes and ponds. The three nines of the Hill Country Golf Club, which can be played in three par-72 combinations of around 6,900 yards, are always in great shape. You'll also find a great variety of holes on this "thinking-man's" course, which can be tough if you fight the design and try to bite off too much. Also, the course isn't obscured by homes, just plenty of mesquite trees, live oaks, native grasses, cacti and a few streams and ponds. Site of 1968 PGA Championship won by Julius Boros, Pecan Valley Golf Club is a 7,010-yard, par-71 parkland course along Salado Creek, dotted with huge native pecan and live oak trees. The Press Maxwell-designed course underwent a $5.5 million renovation in 1998 to bring back much of its former glory and has since hosted numerous qualifiers, local PGA events and the 2001 U.S. Amateur Public Links Championship. Pecan Valley hardly deserves to be on this list. It is a tired old golf course on the bad side of town. The most over-rated course in Texas, by far. They have guards in the parking lot so your car won't get broken into. Tired old layout with sloppy fairways if it even sprinkles. Let that old course die and start promoting real courses in the area.